Research shows – Shopping is Healthy! — Men: Shop and live longer! Guy McKhann and Marilyn Albert, two of the world’s leading experts on brain research, have a theory why women tend to live longer than men: They shop more!! McKhann and Albert were interested in what makes the elderly tick — why some live longer, more productive lives than others. So in 1985 they began a 10-year study of 3,000 senior citizens. Their findings largely make up Keep Your Brain Young (Wiley, $24.95), a reference book of sorts for how to keep the brain functioning in tip-top form. Whether it’s for clothes or groceries, shopping is a simple way to summarize what’s good for the brain, say the husband and wife authors. Women go to the mall, and they have to walk around a lot, often carrying heavy bags. Second, they have to make decisions: `I have to compare this price with that,’ `Will this particular piece fit in my home?’ `Do I need another sweater?’ So they have to make all of these decisions. 3. Maintaining a positive self-image. And when they’re all done, they really feel good about themselves, like they’ve accomplished something,” says McKhann, 70, professor of neurology and director of the Zanvyl Krieger Mind/Brain Institute at Johns Hopkins University. Men, conversely, are at home yelling at the television trying to help their teams prevail, which doesn’t do any of the three. 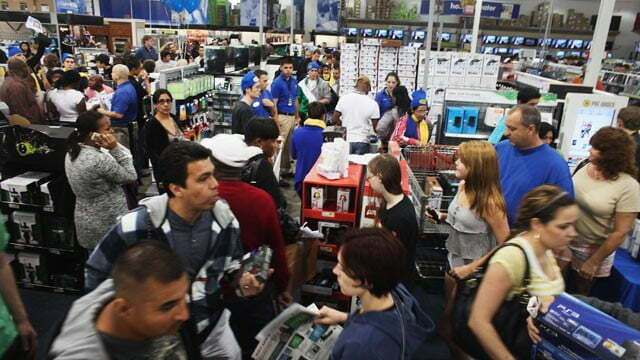 Men like shopping according to a two-year study by Foote, Cone and Belding and Leo J. Shapiro and Associates. 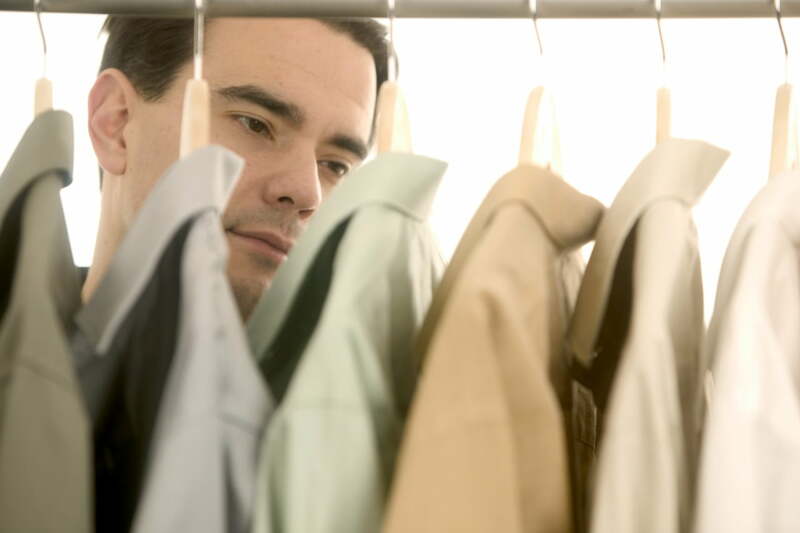 72% of men buy their own clothes. Men like to shop, but they hate to shop the way women shop. They see their shopping as purposeful. Men do expedition shopping or go into a store looking for a specific item. Unlike women they browse, but after their main goal. Men prefer stores that have open spaces, logical layouts and well-marked sections. (Remember guys don’t ask for directions). 79% of men shoppers like information cards at the point of sale and prefer well known established brand names. Why Shopping Makes You Feel So Good! Science is now discovering what Samizay and many consumers have known all along: Shopping makes you feel good. A growing body of brain research shows how shopping activates key areas of the brain, boosting our mood and making us feel better – at least for a little while. Peering into a decorated holiday window or finding a hard-to-find toy appears to tap into the brain’s reward center, triggering the release of brain chemicals that give you a “shopping high.” Understanding the way your brain responds to shopping can help you make sense of the highs and lows of holiday shopping, avoid buyer’s remorse and lower your risk for overspending. Much of the joy of holiday shopping can be traced to the brain chemical dopamine. Dopamine plays a crucial role in our mental and physical health. The brains of people with Parkinson’s disease, for instance, contain almost no dopamine. Dopamine also plays a role in drug use and other addictive behaviors. Dopamine is associated with feelings of pleasure and satisfaction, and it’s released when we experience something new, exciting or challenging. And for many people, shopping is all those things. University of Kentucky researchers in 1995 studied rats exploring unfamiliar compartments in their cages – the laboratory equivalent of discovering a new store at the mall. When a rat explored a new place, dopamine surged in its brain’s reward center. The study offers a warning about shopping in new stores or while out of town. People tend to make more extraneous purchases when they shop outside their own communities, says Indiana University professor Ruth Engs, who studies shopping addiction. But MRI studies of brain activity suggest that surges in dopamine levels are linked much more with anticipation of an experience rather than the actual experience – which may explain why people get so much pleasure out of window-shopping or hunting for bargains. 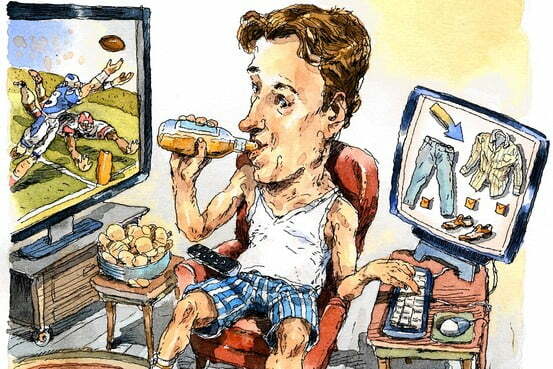 Dopamine can cause someone to get caught up in the shopping moment and make bad decisions. Dr. Berns of Emory says dopamine may help explain why someone buys shoes they never wear. Dr. Berns and his colleagues have devised studies to simulate novel experiences to better understand when and why the brain releases dopamine. In one set of studies volunteers reclined in an MRI scanner while a tube trickled drops of water or sweet Kool-Aid into their mouths. Sometimes the Kool-Aid drops were a predictable pattern, while other studies used random drops. Notably, when the Kool-Aid was predictable the brain showed little increased activity. But the scans showed a high level of activity when the Kool-Aid was given at random. This indicates that the anticipation of the reward – whether it’s Kool-Aid or a new dress – is what gets our dopamine pumping. Because the shopping experience can’t be replicated inside an MRI scanner, other researchers are using electroencephalogram, or EEG,monitors that measure electrical activity in the brain to better understand consumer-shopping habits. Britain’s Neuroco, a London consulting firm, uses portable monitors, strapped on to shoppers, to produce “brain maps” as a way to understand consumer buying habits. The brain maps show a marked difference in the brain patterns of someone just browsing compared with a consumer about to make a purchase. “Shopping is enormously rewarding to us,” says David Lewis, a neuroscientist and director of research and development. 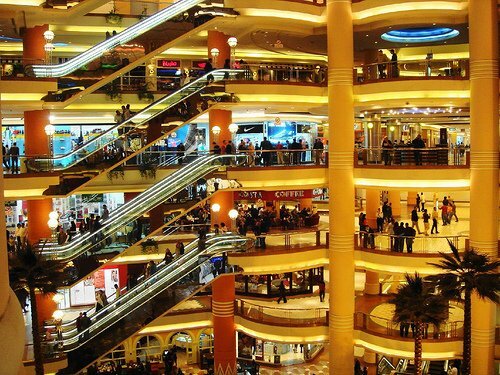 But Lewis also notes that stressful holiday crowds, poor service or the realization that you’ve spent too much can quickly eliminate the feel-good effects of shopping. Knowing that shopping triggers real changes in our brain can help you make better shopping decisions and not overspend while in a dopamine-induced high. For instance, walking away from a purchase you want and returning the next day will eliminate the novelty of the situation and help you make a more clear-headed decision. Dr. Engs of Indiana has compiled a list of dos and don’ts to help people make bette shopping decisions. Although the steps are aimed at people with compulsive shopping problems, they are useful for anyone caught up in the holiday shopping frenzy. A Man’s Guide to Successful Shopping! The founder of Ask Andy About Clothes offers the view from the floor. Issue a challenge: Put the salespeople to work for you instead of just dismissing them with a curt “No!” Ask them to find your size, to color coordinate, and, one of the things that always irritates me, to take the pins out of dress shirts before you try them on. Bring in the sport jacket that you can’t find a shirt for or the shirt that none of your neckties match. Believe it or not, these people want to help you. Be honest: If you really are just browsing, be clear with the sales associate but get his name and promise to find him if you want anything. Many sales associates work on commission, and their full-frontal assault is just to save their commissions from the other sales associates. Dress appropriately: Billionaires can wear flip-flops and shorts when they shop, but if you want full attention and service, you have to dress seriously. You’ll be treated better. Shop alone: I know your girlfriend/wife/well-dressed buddy has impeccable taste, but much of purchasing a wardrobe is personal. Shopping with others can be a distraction, and you may just end up with something you really hate. If you’re really unsure about something, don’t buy it; think about it for a day. Or if you have questions about the fit, ask one of the sales associates. They are clothing professionals, after all. WHERE DID MALLS COME FROM ANYWAY? The word mall is old English, and refers to strip of green grass where a croquet-like game called Pall-Mall was played. Pall-Mall was a 17th-century game in which a boxwood ball was struck with a mallet to drive it through an iron ring suspended at the end of an alley. The word Pall-Mall came from the old French pallemaille, derived from Italian pallamaglio, and was a combination of palla (of Germanic origin), meaning ball + maglio, (from the Latin malleus) meaning mallet. After World War II, shopping malls (outdoor strips of shops) sprang up around the United States. In 1956, Austrian born architect, Victor Gruen, set out to create a mall for Southdale, near Minneapolis, Minnesota where the weather is often extremely cold or hot. His solution: an enclosed mall for protection from the weather. Gruen’s vision emphasized the need to create a city center, a modern agora (the town squares of ancient Greece) that could serve social, cultural and civic purposes as well as facilitate commerce. By the late 70’s hundreds of malls, open and enclosed, had been constructed across America and through out the world. And don’t listen to the typecasting that guys don’t like to shop. It may be a myth that women perpetuate. Men are the original primeval hunters. Shopping is second nature to us gentlemen!! Inside Out Style names AskAndy one of the top seven!